Studhubs and I have been two busy little beavers lately and I haven't had time to make the nice dinners I usually do, but as I always say, quick meals don't have to mean you skimp on flavor. 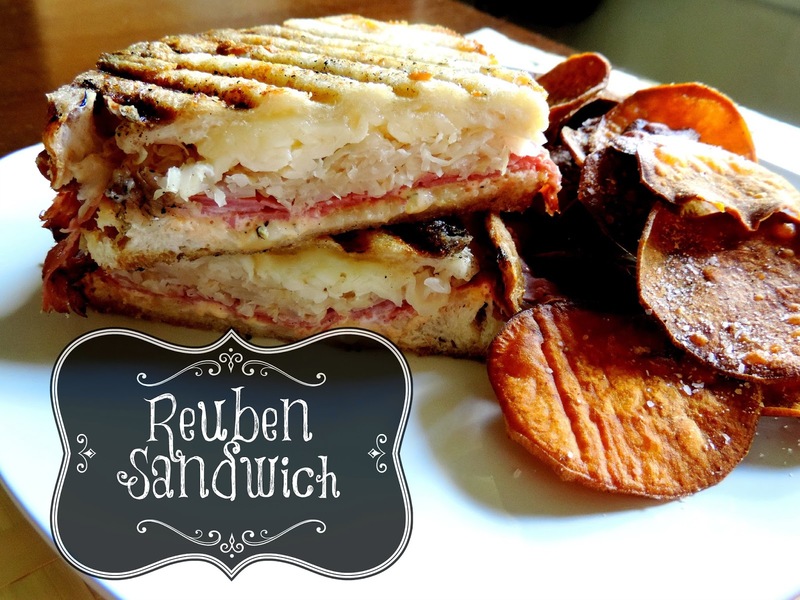 Take these Reuben Sandwiches for example. Ready in minutes and PACKED with flavor! To begin, thinly slice the sourdough bread. Butter one side of every slice of bread. Top it, and place a heavy skillet on it. Let is cook for 2 minutes, flip and repeat. Serve these up with some delicious homemade chips. I also make these using turkey as well. and DELICIOUS weeknight meal that you can serve to guests, UNASHAMEDLY!!! Butter the slices on one side. Place on hot grill pan or skillet. Place heavy skillet on top of sandwich and cook for two minutes.